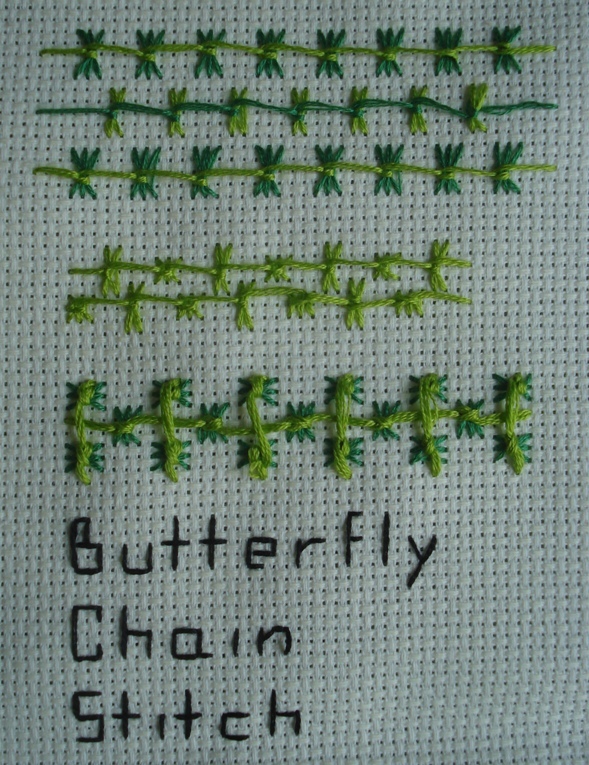 The stitch for week 21 of TAST is the Butterfly Chain stitch. I had fun working with this stitch. it is so cute! you will have to show me how to do it!